This delicious and nutritious recipe is courtesy of Teresa Cutter, and it makes a regular appearance in my house! Theresa says: “Bananas are a terrific energy food and a great source of potassium, an essential mineral for maintaining normal blood pressure and heart function.They add moisture and sweetness to baked goods, which means you can reduce the amount of sweetener and oil considerably. Almonds are packed full of protein + heart healthy fats that are kind to your arteries and can help lower cholesterol as well as keep blood sugars stable. 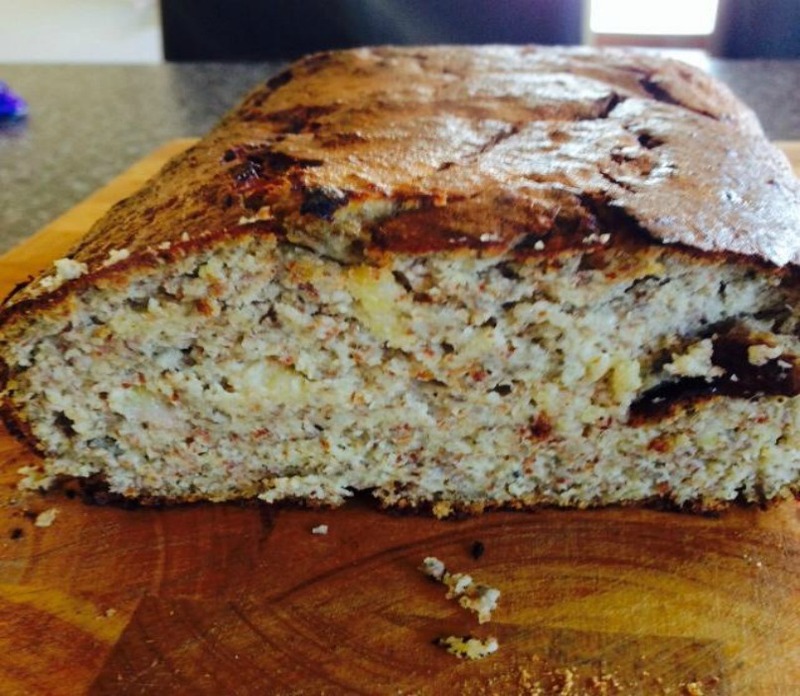 This makes a nice change from typical store bought and cafe style banana breads that are generally high in refined white flour, sugar and saturated fats. I love using macadamia nut oil when baking, it’s a delicious source of monounsaturated fats that can help support good health and wellbeing”. I love to decorate the top of my banana bread before baking with sliced banana or a handful of chopped walnuts and a lightly sprinkle of cinnamon.